The USDA recommends a minimum of 3 cups of greens per week, and many people are not even getting that amount. Greens are the most concentrated source of nutrition of any food and deliver some of the most vitamins and minerals to our bodies. Loaded with vitamins A and K this helps regulate blood clotting and many prevent some inflammatory diseases. 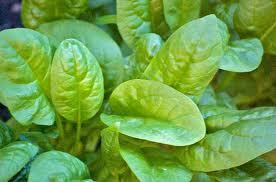 It is also loaded with calcium, magnesium and folate ( an essential B vitamin that is crucial for women). Part of the cruciferous vegetable family, Cabbage is loaded with vitamin C, which has been shown to reduce the risk of several types of cancer. Other vegetables in this family include broccoli, kale, collard greens, and brussel sprouts, all can lower the risk of prostate and breast cancer. High in monounsaturated fat Avocados are a healthy fat that can help lower cholesterol. They contain 30 percent more potassium than a single banana, plus vitamin E, K, fiber and oleic acid, which can offer protection against the development of breast cancer. Did you know that Oregano is a highly effective antibacterial agent? Oregano contains certain oils that are able to inhibit the growth of several types of bacteria. This is a powerful antioxidant that contains more than the vitamin C filled orange. High in vitamins A,C and K and one of the highest food sources of folate, an essential B vitamin that is crucial for heart health and reproduction. Asparagus is also a natural diuretic and contains inulin which promotes healthy digestion. Loaded with vitamin C Green Peppers promote healthy skin and works to heal wounds. They help to lower cholesterol while also being one of the best immunity boosting foods. One serving exceeds the daily requirements of vitamin C.
Kiwi contains more potassium than a banana and is also an outstanding source of vitamins C and E. They are also very high in fiber which helps improve diabetes because of it s ability to control sugar levels. So enjoy these great green fruits and vegetables. Add some to your salads or a healthy snack! !